Superalloys, or high performance alloys, provide exceptional mechanical strength and creep resistance at high temperatures, corrosion and oxidation resistance and reliable surface stability. Superalloys are used extensively in the oil and gas industry, chemical and petrochemical processing, power plants and many other harsh environment applications. They include a number of special combinations of alloys to make up materials from Monel® to Hastelloy®. Alloy 400, also known as Monel is a series of alloys mostly made up of copper, iron, nickel and other trace elements. Monel alloy 400 contains the same proportions of nickel and copper found naturally in the nickel ore from certain mines. Its nickel-copper alloy construction makes it highly resistant to sea water and steam at high temperatures, along with an excellent resistance to salt and caustic solutions. This alloy not only has excellent corrosion resistance in a wide variety of media, it is also provides good weldability and moderate to high strength, and very good mechanical properties during wide swings in temperature (from sub-zero up to 1020° F/549° C). Alloy 6 Mo (UNS S31254) is a super austenitic stainless steel consisting of high levels of molybdenum and nitrogen, which provide extreme resistance to pitting and crevice corrosion and has very high strength compared with conventional stainless steels. This material offers superior resistance to corrosion in high-chloride environments; such as salt water, seawater, pulp mill bleach plants and other high-chloride process streams. 6Mo alloy exhibits not only high resistance to pitting and crevice corrosion, but also to chloride stress-corrosion cracking in harsh environments. It is ideal for offshore oil and gas, chemical processing, instrumentation and shipbuilding applications. Inconel is in the same family as Incoloy and is also a austenitic nickel-chromium-based superalloy. 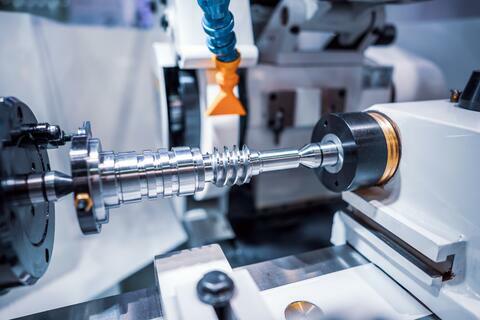 The primary advantage of Inconel is that it allows for the alloys’ oxidation corrosion resistance which is well suited for service in highly extreme environments that are subjected to extreme pressure and heat. Uniquely, when exposed to high temperatures Inconel forms a thick, stable, oxide coated layer that protects the surface from further attack. Inconel provides for excellent fabrication (including joining), exceptional high strength, substantial corrosion resistance and ability to withstand broad service temperatures (ranging from cryogenic to 1800° F/982° C). Hastelloy is a nickel-molybdenum alloy. Of the many grades of this material, most are forms of nickel-chromium-molybdenum alloys. Each grade has been optimized for a specific purpose, each providing a high resistance to corrosion. 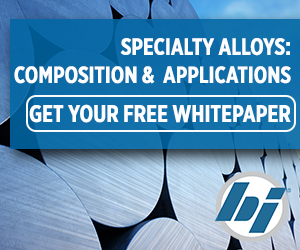 It is important to note that Hastelloy® and Incoloy® are very similar and both are considered Superalloys, yet there are some important differences. Each provides excellent mechanical strength, particularly when exposed to high temperatures, and each is highly corrosion and oxidation resistant. However, their differences are primarily in chemical composition, weldability and their use in different applications. Hastelloy has exceptional resistance to high oxidizing and reducing agents, which makes it excellent for moderate to severe corrosive environments. Pipes and valves are often made of Hastelloy for the petrochemical and chemical processing industries. In addition, it is ideal for the manufacture of pressure vessels and heat exchangers, and for use in chemical reactors and nuclear reactors. On the other hand, Incoloy’s high iron content often allows it to be more cost effective for many applications. Some Incoloy grades have been designed for increased corrosion resistance in harsh environments. Its strength at high temperatures and resistance to brine, chloride, seawater and sour gas make it a very good choice for the construction of components used in the oil and gas industries. In addition to the applications listed above for Incoloy, it is an ideal choice for aircraft components, gas turbines, hot vessels for food and water, propeller shafts and tank trucks. In addition, Incoloy is resistant to sulfuric and phosphoric acids, nuclear fuel and other high chemically corrosive materials and environments.